Myofascial Release is a hands-on technique that uses sustained gentle pressure to safely and very effectively eliminate pain and restore movement in stiff and restricted tissues. 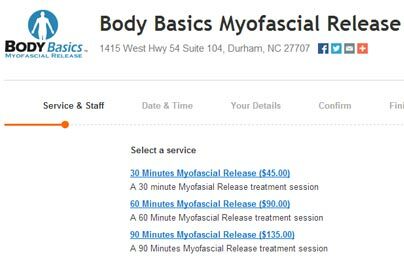 Schedule your Myofascial Release treatment online at any time. Scheduling is easy, fast, and very convenient. Click here to schedule your next appointment. Myofascial Release is a different form of therapy than most any other type of soft tissue therapy that I have encountered and practiced. Here are some ways in which you can make sure to get the most of this therapy. After two intensive treatments with Myofascial Release in 3 days, you can see the results. This client has been diagnosed with a very significant scoliotic curvature of 68 degrees. 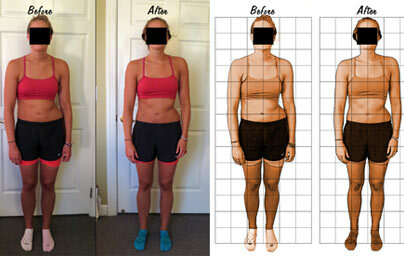 The before and after pictures show the changes and improvements in the client’s structure and posture. I have the highest regard for Nathaniel’s skills as a medical massage therapist. I had a stroke that paralyzed my left side ( face,arm,leg) in March,2007. This was followed by open heart surgery in May,2007 to replace a mitral valve. The surgery went well but I needed a pacemaker five days later. I recovered well with the help of an excellent rehab group and the counsel and medical care of an extremely competent cardiologist and his team. I’ve been to MANY, MANY massage therapist and have had some good massages and a lot of not so good massages. Im also an LMBT here in the Triangle and I speak from experience when I say that Nathaniel has exceeded my expectations. I was specifically looking for a therapist that had experience in Medical massage because of some lower back issues a few other therapist were not able to help with and also specifically TMJ. From the beginning, Nathaniel was professional and courteous. He took the time to assess my posture as a good massage therapist would do. His treatment methods were excellent and “on point.” He used several different techniques to target my problem areas. Most of them were fairly AWESOME! LOL I hope he doesn’t mind if I borrow a few for my practice. He continually upgrades his knowledge on massage modalities. Most recently he traveled to an educational opportunity in Advanced Myofascial Release. I was extremely glad to be his client on his return.